2. Harvest Index of Maize (Zea mays L.): Are There Possibilities for Improvement? Advances in Agronomy, Volume 146 is the latest in a series that continues to be recognized as a leading reference for the latest research in agronomy. Updated chapters in this new release include the Significance and Role of Si in Crop Production, National Comparison of the Total and Sequestered Organic Matter Contents of Conventional and Organic Farm Soils, Purine – N Metabolism in Drought or Salinity Challenged Food Security Crops, Plant Rooting and Cropping Systems Management to Improve N Use Efficiency, and The Important Role of Layered Double Hydroxides in Soil Chemical Processes and Remediation: What We Have Learned Over the Past 20 Years. Each volume in the evolving series contains an eclectic group of reviews by leading scientists throughout the world. As always, the subjects covered are rich, varied and exemplary of the abundant subject matter addressed by this long-running serial. Donald L. Sparks is the S. Hallock du Pont Chair in Soil and Environmental Chemistry, Francis Alison Professor and Director of the Delaware Environmental Institute at the University of Delaware. He is internationally recognized for his landmark research on the kinetics and mechanisms of metal/oxyanion/nutrient reactions at biogeochemical interfaces. His pioneering studies on kinetic processes in soils and minerals include the development of widely used and novel kinetic methods, elucidation of rate-limiting steps and mechanisms over a range of spatial and temporal scales, and coupling of real-time kinetic studies with in-situ molecular scale investigations. His discoveries on the speciation, formation rates and stability mechanisms of metal hydroxide surface precipitates, and their role in the retention and bioavailability of toxic metals in the terrestrial environment, have received worldwide attention. This research has led to more effective soil remediation strategies and predictive models. He is the author or coauthor of 286 publications. These include: 11 edited books, 53 book chapters, and 219 refereed papers. He is the author of two widely adopted textbooks, Kinetics of Soil Chemical Processes and Environmental Soil Chemistry (two editions) published by Academic Press. Dr. Sparks is an ISI Highly Cited Researcher; his research has been cited more than 8380 times and his h-index is 53 (Web of Science). 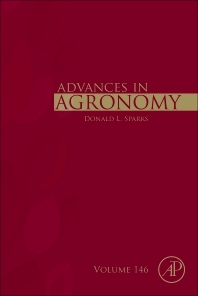 Dr. Sparks has served as editor of Advances in Agronomy since 1991, having edited 77 volumes. He has given over 200 invited presentations at scientific conferences throughout the world, and been a lecturer at 98 universities and institutes in North America, Europe, Asia, and Australia. He has received numerous honors and awards including Fellow of five scientific societies, national and international research awards, distinguished fellowships and lectureships, and teaching and mentoring awards. He has advised 90 graduate students and postdoctoral researchers and been the recipient of more than $50 million in research funding. He served as President of both the Soil Science Society of America and the International Union of Soil Sciences.